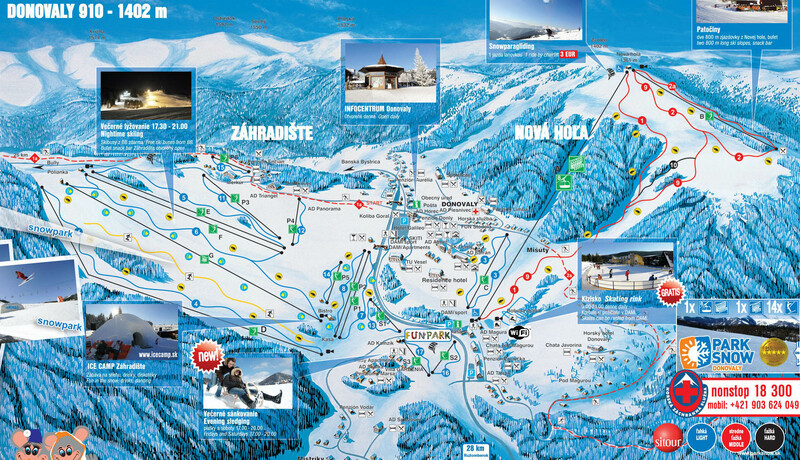 Skiing in Slovakia belongs to the most popular sports, alike neighbouring Czechia and the close Alpine countries. It is fairly natural for young people to ski as it is with biking or swimming. Ski courses are part of the educational programme on elementary, high schools and universities too - so the basics of skiing get familiar to almost every child. Thanks to the many ski fans who run ski resorts inspite of the natural conditions which are not the most supportive, ot os still possible to enjoy a nice ski break on Slovak slopes in High Tatras or Low Tatras. 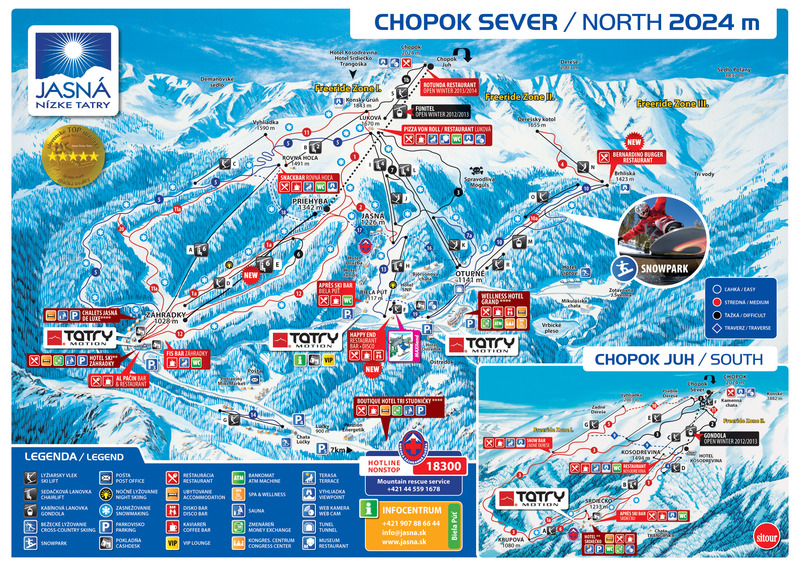 Ski resort Chopok is accessible from the north Demanovska Dolina valley, which begins next Liptovsky Mikulas and ends under Chopok. Ski lifts and slopes are interconnected with the ski resort on the south side of Chopok inclusive of March. This link Jasna creates the largest ski resort in Slovakia, with 36 km of lines and a capacity of nearly 25.000 people / hour. The area of winter sports Strbske Pleso in the High Tatras offer excellent skiing in Slovakia. Height of 1.360-2.093 meters provides plenty of snow up to 4 months in the winter season. 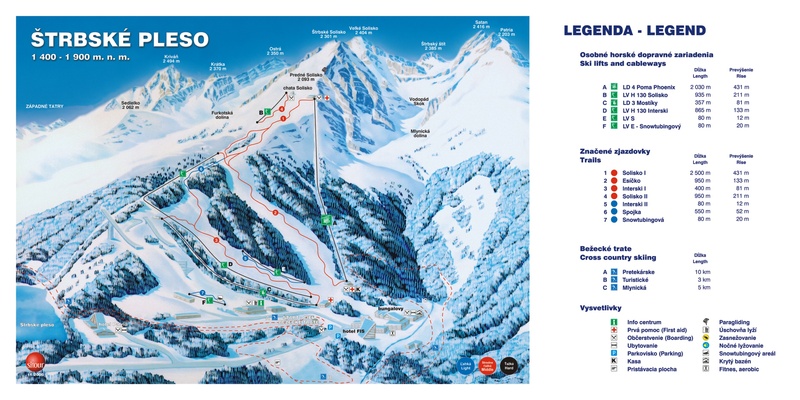 Two seats and three lifts serving nine runs with a total length of over 20 km. All ski slopes are artificially snowed with skiing with artificial lighting at night. The largest winter resort entertainment for children and skiing for beginners Donovaly is leader in Slovak family winter holiday in the mountains. Altitude 915 m Donovaly village is a guarantee of natural snow in addition to fuse artificial snow up 60% of 11 km track, children's attractions, ski school, rental equipment. Donovaly perfect winter holiday for family skiing in Slovakia. The most important ski center in the eastern part of the High Tatras is situated near the picturesque village Tatranska Lomnica, which lies about 20 km north of Poprad, the known Lomnicky Peak. Ski runs mostly light to moderate for difficult skiers Skalnate Pleso, the longest 6 km trail leads from a height of 2.200 m to Tatranska Lomnica. Next to the bustling tourist center of Stary Smokovec several guest houses and shops in 40 years last century gradually grew a new Horny Smokovec center, more commonly known as nice prospect. Today it is a connected community and constitute the part Horny Smokovec focusing on tourism accommodation services for the central area of ​​High Tatras. Village Novy Smokovec is known as a spa and wellness center respiratory disease. In doing so, its location provides convenient accommodation options for active winter Tatras visitors who wish to ski on Hrebienok, or in the nearby Tatranska Lomnica, where options are inexpensive recreational skiing on groomed slopes as well as alpine skiing in Slovakia. Ski resort Opalisko has a suburban character of the area of winter, so here goes number of local skiers from the nearby district town Liptovsky Mikulas. From the edge of the little village Zavazna Poruba goes to the top Opalisko of the ski lift and two-seat car. The steepest hardest slope leading in Slovakia - Opalbühel black, passing into red and blue. Typical Liptov village Bobrovec in Tatras surrounded by tourist attractions, which adds to its importance in the development of local tourism. Pleasant environment and accommodation in the local inns where everything is within reach - known ski resorts and summer options stay in the water or mountain hiking in the Low and High Tatras, winter vacations in Slovakia. Who has problems with the locomotor system, instead of active skiing can be used to passively winter, but also a pleasant stay. A winter holiday changes from snowy and cold for pleasant squelch the warm mineral water and healing in famous spa resort Patince in southern Slovakia. Sauna, massage and other healing therapies and treatments. Ski resort Javorovica - Liptovsky Jan is located on the northern slopes Janska valley, which lies in the Low Tatras mountains. 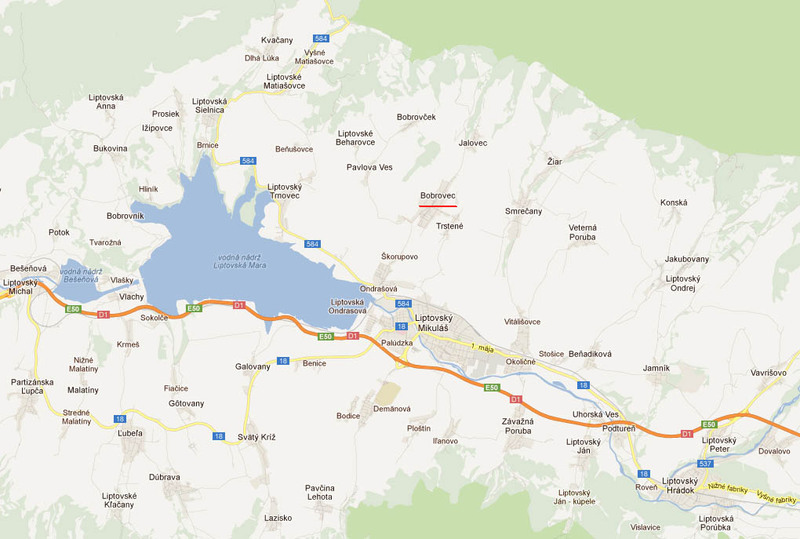 Distance from Liptovsky Mikulas only few minutes drive. Artificial snow on slopes, night skiing, free parking, right on the slope refreshments, children's area, ski school, prepared trails for cross country skiing. 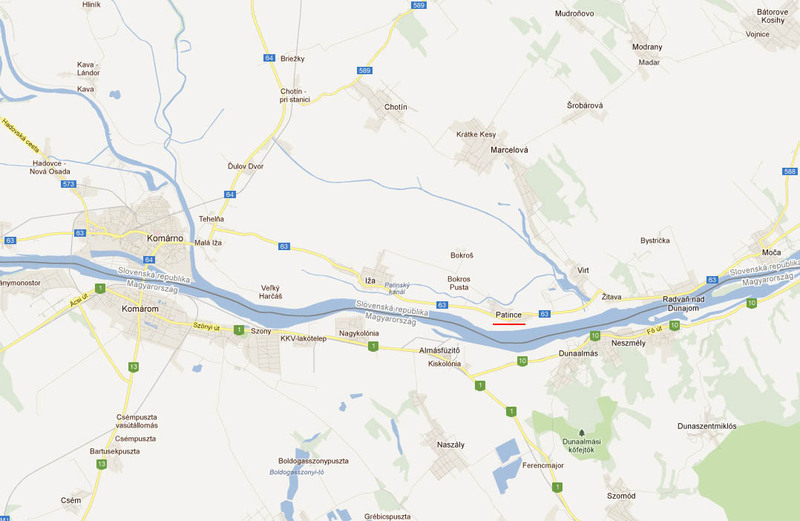 The area around the town of Senec is a famous holiday resort Sun Lakes. Stay in the water with the possibility of all water activities is a pleasant way to spend summer vacation. Number of visitors mainly from the nearby Bratislava known advantages of fresh water lakes created after gravel extraction. Even in winter, water fun does not stop but continues on water park. North Spis is the picturesque goral Zamagurie area that is attractive to tourists in summer and winter. Red Monastery, Haligovske Rocks or river Dunajec in Pieniny National Park visit in the summer to enjoy the attractive river rafting predatory. In winter, you can be comfortable skiing in several ski resorts nearby. Family skiing in Slovakia small ski resorts. The High Tatras are the most popular tourist destinations in Slovakia, are often described as the world's smallest mountain range. Under the highest peak Gerlach (2.655 m) is built several tourist centers throughout the winter, they also provide opportunities really nice skiing. Ski resorts Tatranska Lomnica and Strbske Pleso is the most famous of them. Village Zdiar is located in the valley Bachledova on the border Belianske Tatras and Spisska Magura. A few miles above Zdiar is a nice ski resort where a magnificent view of the village and two peaks towering above it. Two chairlifts and ski lifts are served twelve 8000 skiers per hour, which are exported to 11 km of ski slopes.